The blade of a Japanese sword must be sharp enough to slice effortlessly through a silk sheet. It moves gracefully with its wielder. 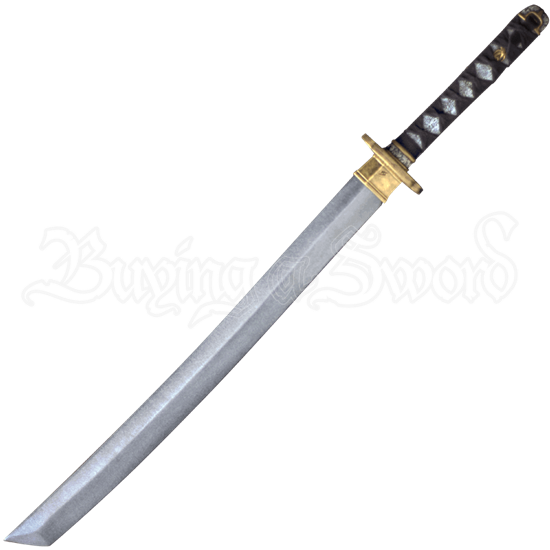 The Samurai Legend LARP Katana is a suitable weapon for the ninja assassin or samurai warrior. Admire the matchless elegance and beauty of this Asian sword. Made from durable close-celled foam, this Japanese katana possesses a strong, yet flexible fiberglass core. Carefully hand painted for stunning detail, gold and silver accents define the tsuba and tsuka. A sculpted menuki-style wrap adorns the hilt, ending with a silver and gold kashira. Let the worthy Samurai enter the next LARP event with this honorable katana in hand. The katana is approximately 33.5 Inches in overall length. This measurement will vary as each LARP sword is a handmade item.